20 photos of a day trip in January 1999 from Miami to Bimini in the Bahamas. The aircraft was Pan Am Air Bridge Grumman G-73T Turbo Mallard N2969. 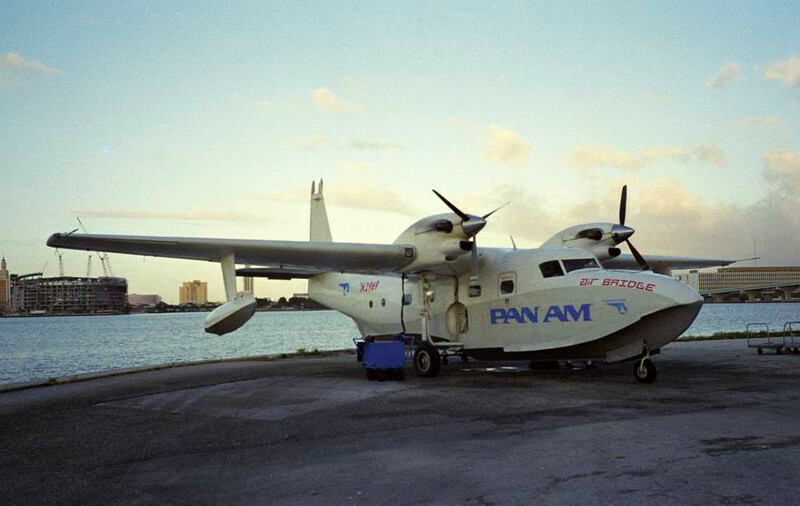 Pan Am Air Bridge Grumman G-73T Turbo Mallard N2969, January 1999 1. Awaiting departure from Miami seaplane base to north Bimini. The aircraft was one of 59 Grumman Mallards, and had been built in 1947. Its original Pratt & Whitney piston engines had been replaced in 1981 with Pratt & Whitney Canada turboprops.